Teachers can find RPT Tahun 1 KSSR 2017 Semakan for download and sharing. 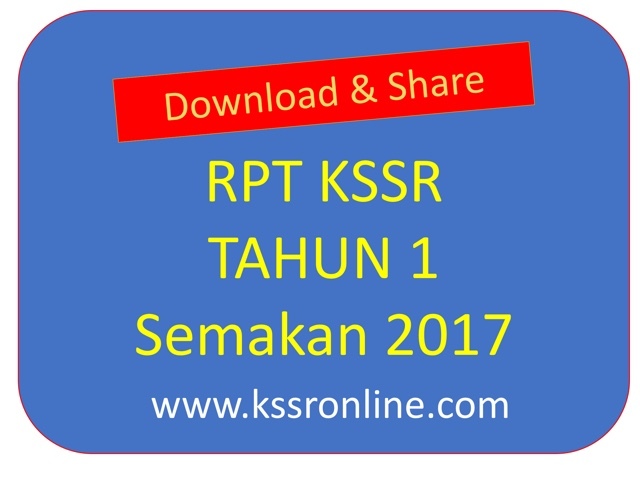 Teacher can find RPT Tahun 1 KSSR 2017 Semakan for download and sharing. Click the link or picture below. Thanks for finding a good working link to it, you have been of huge help to many people. Your posts are always super helpful so keep up the good work and hope to see more posts from you soon.